Rootstamps are handmade in the USA, one stamp at a time, from the finest natural red rubber. The rubber is deeply etched to a depth of 55-60 thousandths of an inch, which helps keeps the "floor" of the image from printing the trimmed edge or open areas within the stamp. The stamp rubber is attached to blocks of hard maple wood, sanded and shaped so beautifully that they are a pleasure to hold. With "TLC" your Rootstamps will last a lifetime and provide you with many hours of pleasure. There's no limit to what you can do with stamps ~ labels, greeting cards, announcements, wrapping paper, stickers, gift tags, bookmarks, envelopes, fabric (shirts, hats, tote bags, etc. ), decorated memoirs, note cards, personal letterheads, memo pads, book covers, and more! Store your stamps out of direct sunlight (and even bright lighting) or heat as the rubber can dry up. With new stamps, experiment first on scrap paper to become familiar with the image. Press the stamp firmly on the ink pad, but don't drag it or rock or wiggle as the result can be blurred or shadowed. To clean your stamps, stamp on scrap paper until the image is gone. Or stamp on a wet paper towel. If the ink builds up on the stamp rubber, gently wipe it with a toothbrush using mild soap and water. For a two-toned effect (such as darkened corners), first press the stamp on the lighter colored pad. While the stamp is still wet, roll the edges on the darker stamp pad. Or, first press on the lighter pad and then press a darker colored stamp pad cube on the rubber where you want it. Some stamps have images with outside lines or boxes. Do not press too hard on the stamp pad or you may get a smudge on the blank rubber. You may want to use a stamp pad cube to dab ink on the lines instead of using a pad. Store ink pads and cubes upside down so the ink will flow to the top of the pad. Ink pads should stay wet a long time, but it will eventually come time to re-ink them. Just remember not to over-ink the pad or the ink will pool in the middle of the pad. Magenta Stamps - Remember . . . These innovative techniques and ideas will enable you to make extraordinary backgrounds for your rubber-stamp projects. Stimulate the artist in you and awaken your love of the craft all over again. Try: copying mosaics; painting with blender pen and dry pigment powder; paper gilding; embossing with white powder and chalks; backgrounds in a bottle; brayer resist with archival ink; stamping on art metal. 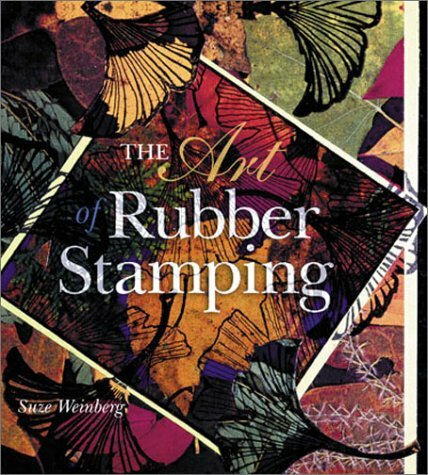 Expand your rubber-stamping horizons - and the cards, giftwrapping, scrapbook backgrounds, and other projects you craft will amaze you.